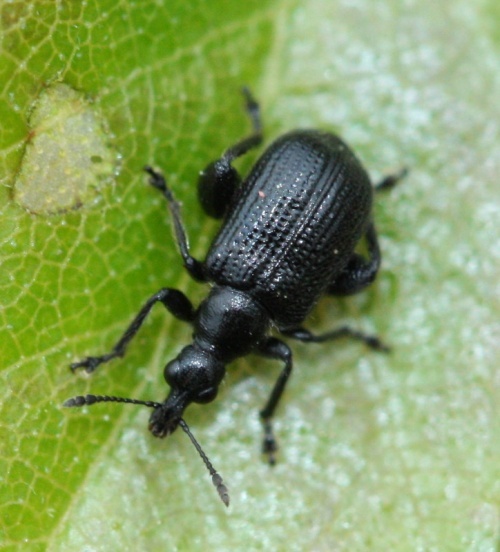 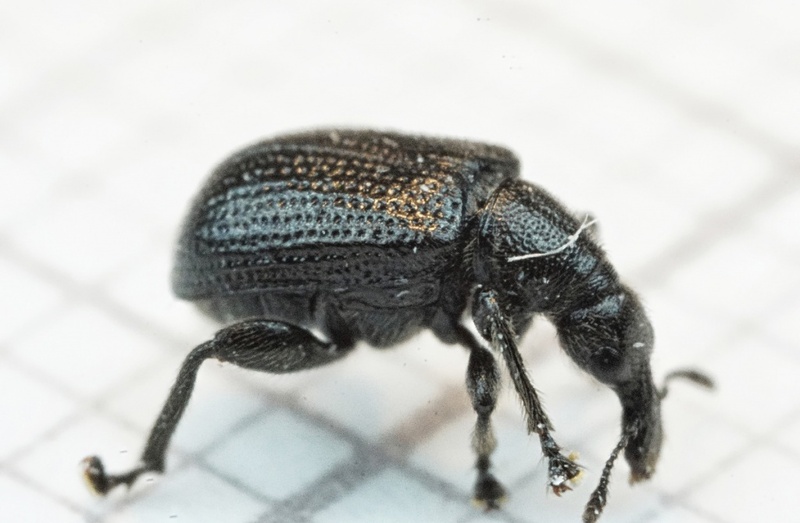 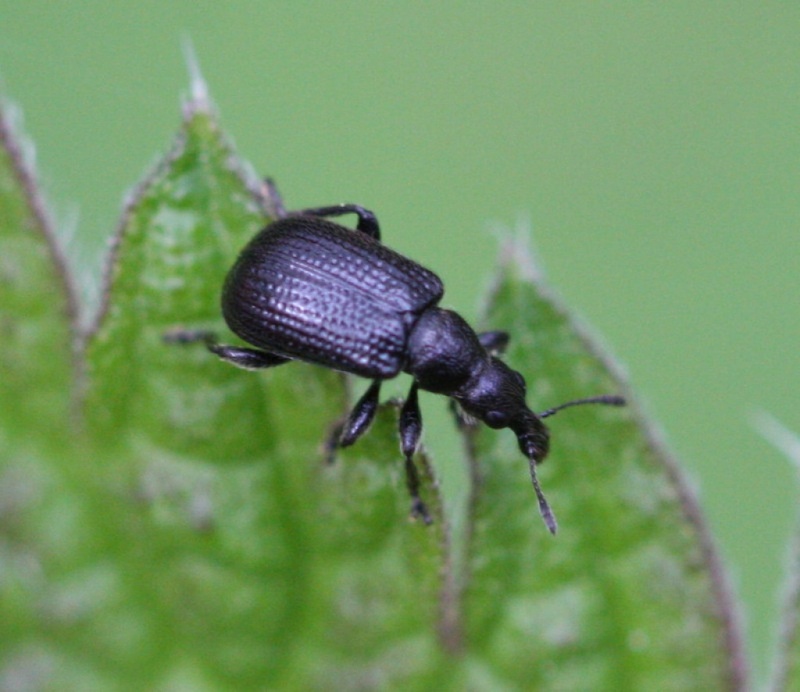 This is a black weevil with punctate elytra and is about 5 mm long. 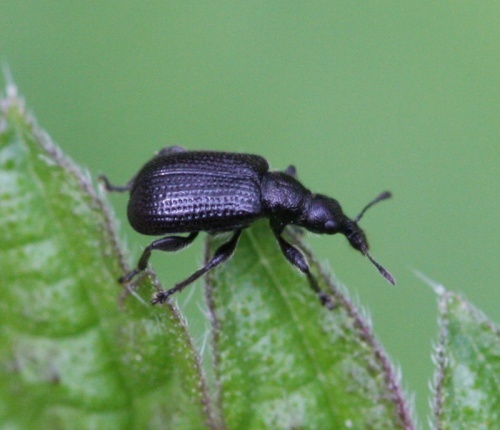 The males have swollen femora on the rear legs but not the females. The females cut most of the way through a leaf, producing an inverted cone, in which an egg is laid.